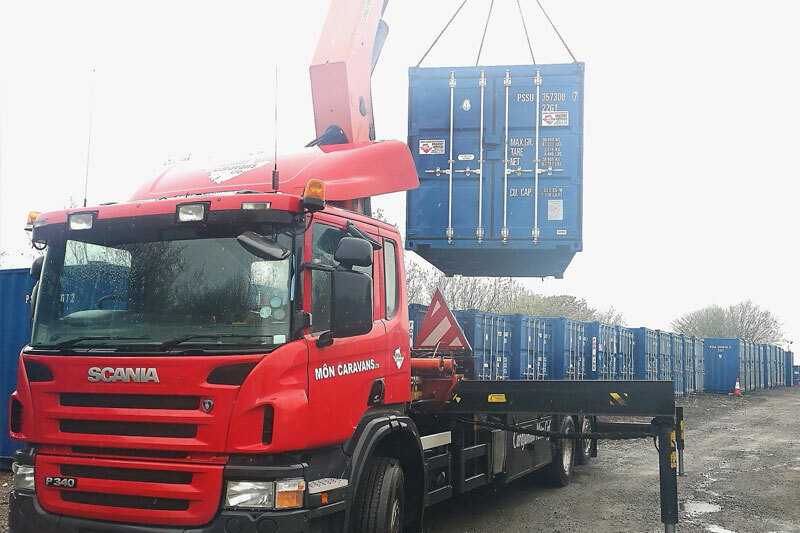 Container Hire | Môn Caravans Ltd.
We have a range of steel containers and offices to suit your needs. These can be delivered to your location, or stored in one of our secure yards. At the Caergeiliog storage centre there is a 12ft steel security fencing and two card operated front and middle gates for added security and access control. There are a number of other locations at Amlwch. All of our containers are strong and secure units capable of surviving in extreme conditions due to their steel structure. They are ideal for temporary storage. Ideal for those looking for temporary storage for household items or building materials. If you have any questions about storage or the containers please let us know. The most popular steel container we supply has two front opening, weather sealed, steel doors, 4 full height locking bars with lockable handles and one steel shroud lock box to protect your padlock. They are manufacturerd from corrosion resistant corten steel and all have ply flooring with a blue exterior colour. We also supply green containers for building and trade use. These are suitable for machinery and building materials. For further details on personal, private and commercial hire options please fill in the form below or contact us on 01407 742288. We offer a range of hire contracts from short to long term. Please do not hesitate to contact our office if you require a quotation.